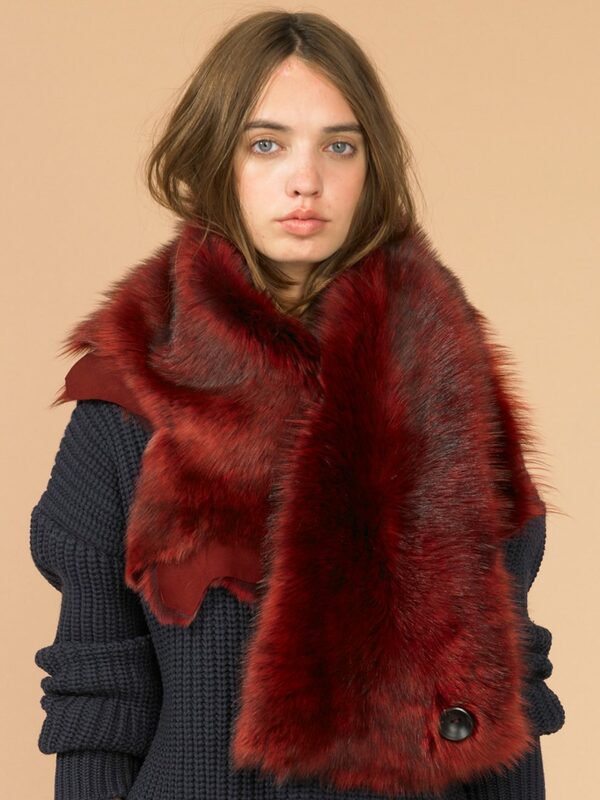 Our foxy toscana lambskin shrug with tipped voluminous wool utilises the natural edges of the skin. 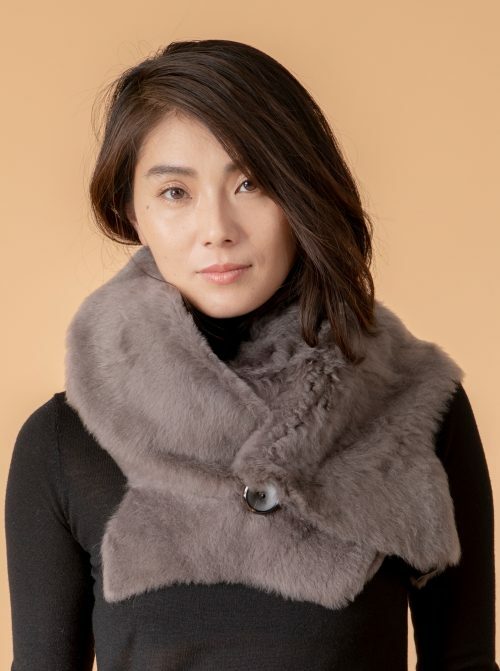 This accessory is wider than our button scarf using two full skins. There are two button positions offering various styling options for this signature accessory. A stylish piece to add drama to a classic winter coat or add glamour to an evening outfit.